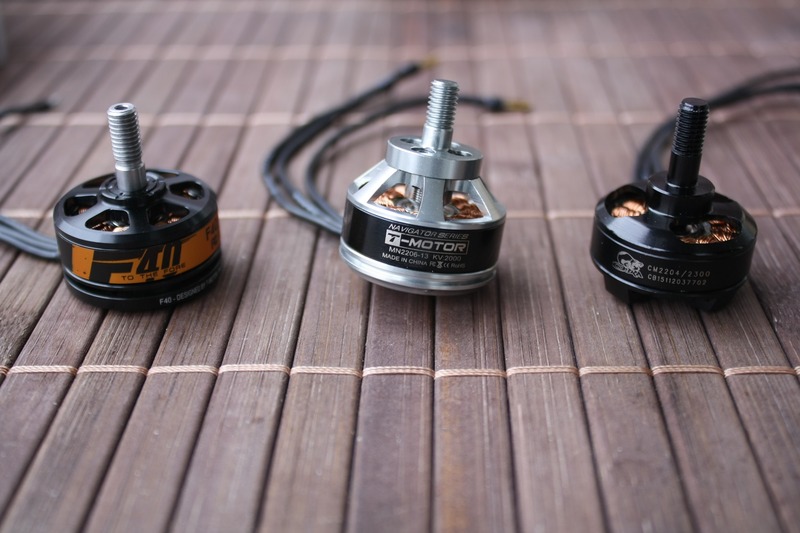 I have received the new T-Motor F40 2500kv for a review and want to say thanks to T-Motor and Eva for the support! 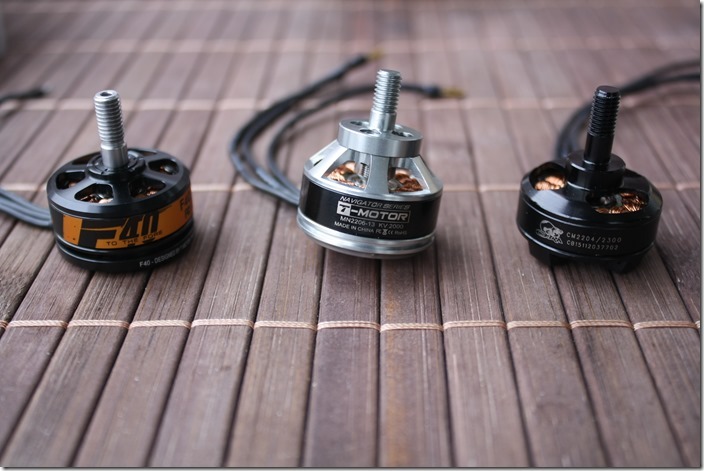 The F40 is part of the new FPV Series motors and is available in two versions: 2300kv and 2500kv. Both motors are identical except for the kV. I am going to make thrust tests of the 2500kv motor and everything else should be valid for the 2300kv too. 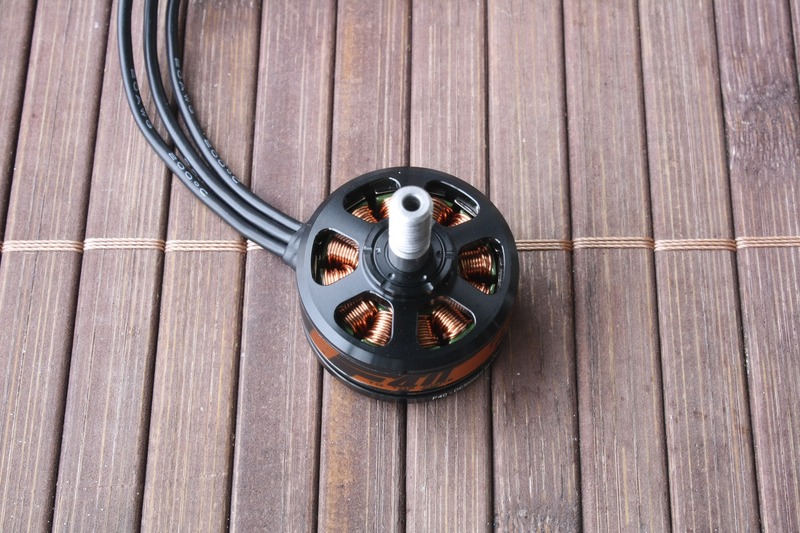 Based on the stator’s dimension, the F40 is a 2205 type motor. The total length is 31.60mm .The shaft diameter is 5mm and not 4mm as stated on the T-Motor’s website. It is 14mm long, so you will have no problems mounting any propeller. The F40 weigh 29.9g. 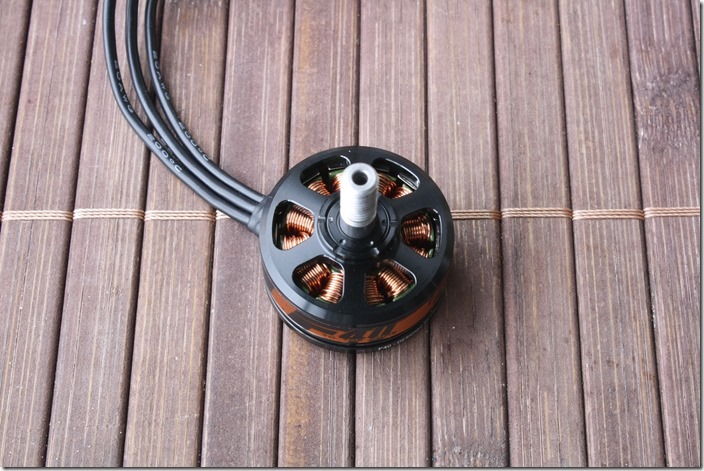 For comparison: the T-Motor MN2206 2000kv with mounted 5mm shaft and gold connectors is 32.2g. The 20AWG cables of the new F40 motor are about 100mm long and without any connectors ready for soldering to your ESCs. 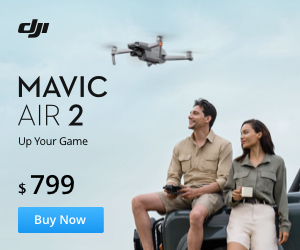 The new FPV motors are sold in sets of two. 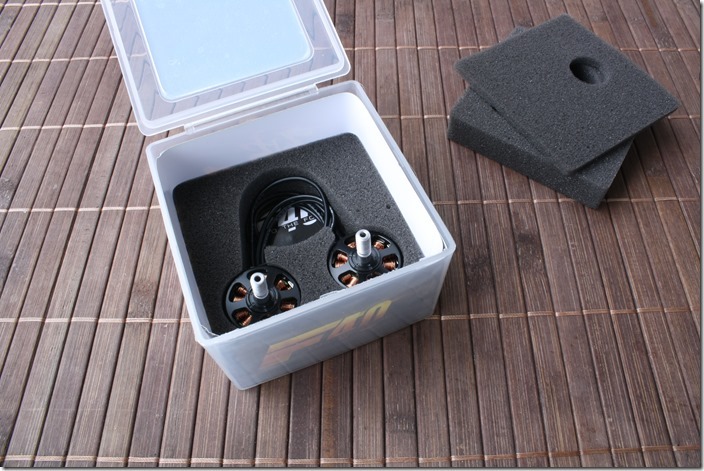 It’s very well packaged in a plastic box and some foam. You also get 2 locknuts instead of the typical bullet propeller holder and 8 pcs. 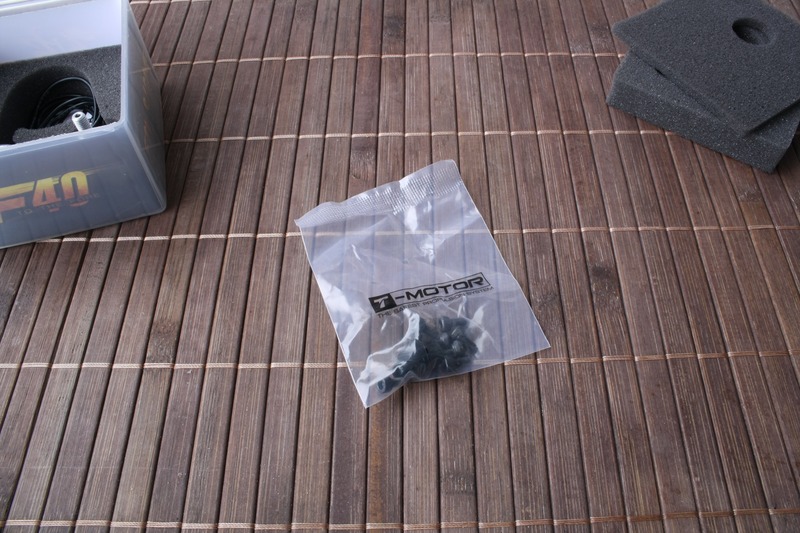 M3 x 6mm hex mounting screws. 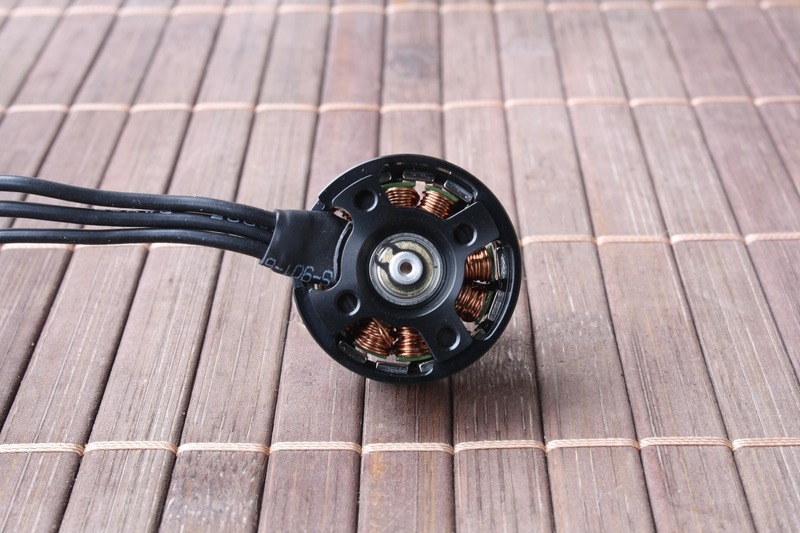 The F40 motors have the same superior quality as previous generations T-Motors. They look awesome and I love the design. The steel shaft should be extremely strong and you shouldn’t have problems with bended shafts after crashes. 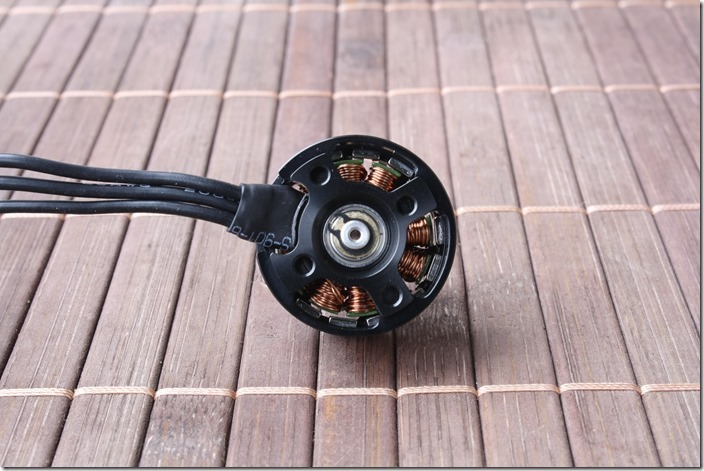 Because of the hollow shaft, the motor weight is reduced and it helps the heat dissipation. 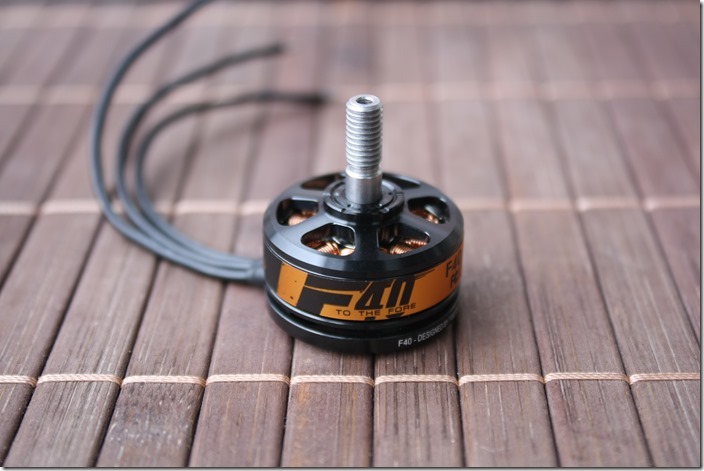 I am going to put the T-Motor F40 2500kv on my thrust stand and test it with some popular ESCs. I will share the results in Part II of the review. Don’t miss it – Like the Facebook page. Update: Part II of the review is online. wow i swear i saw a ton of people who recieved these for ‘review purposes’ i need figure out where i sign up for review motors, haha!